Can art and cultural resistance really work as a tool for achieving justice? 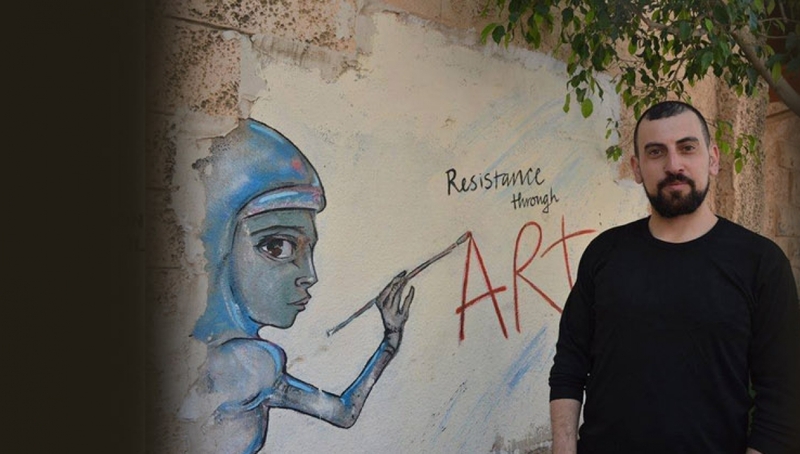 Tobasi Ahmad from The Freedom Theatre in Palestine will talk about establishing a political and artistic movement of theatre with filmmakers to fight oppression and inequality. The Theatre has had its building attacked, its members interrogated and imprisoned, and in 2011 their Artistic Director Juliano Mer Khamis was murdered. Despite this, The Freedom Theatre has toured internationally and presented many productions in the Jenin Refugee Camp where it is based. The workshop is open to practitioners, artists, activists and anyone else who is interested in what happens when art and activism combines. This workshop is part of a series where you’ll be led by international theatre professionals who have produced theatre in challenging political settings to explore how you can translate the ongoing political landscape into your own contexts. Read more or book the second part of this series or the panel and screening event.